ARDEX is a leading supplier of high-quality specialist building materials for the flooring and tiling industries and is regarded as a premium partner of the construction trade. For more than 60 years, the ARDEX Group with 36 subsidiaries and 1,800 employees in over 50 countries has been a front-runner for the flooring and tiling industries. With its ten major brands, the ARDEX Group generates a worldwide annual turnover in excess of 465 million euros making ARDEX one of the world’s leading suppliers of high-quality specialist building materials. 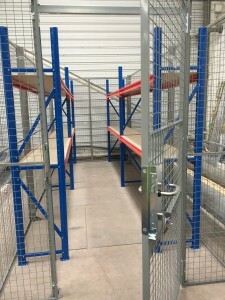 Security is obviously a major priority for ARDEX which is why they recently tasked Superior Storage Solutions with providing a secure storage area to house demonstration products and tools for their Irish division. 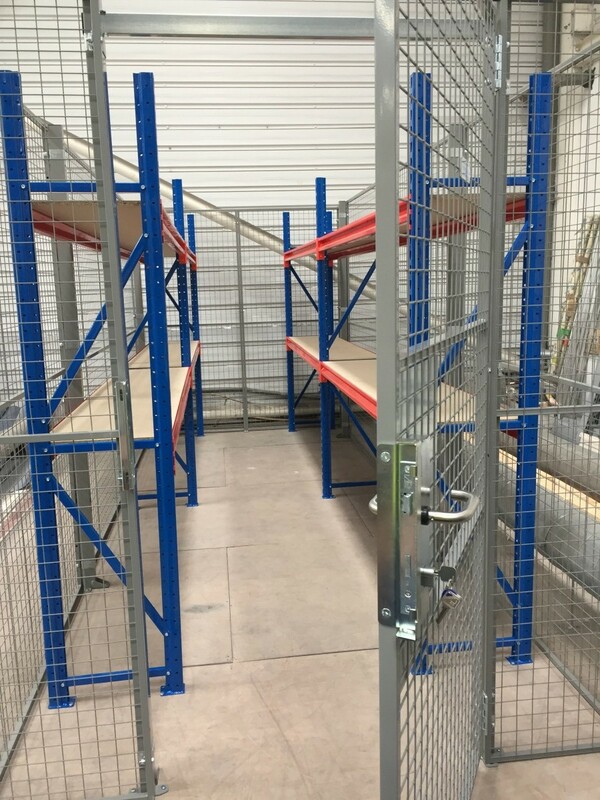 This was achieved by installing a high security cage using our Troax mesh partition system and running longspan shelving down both sides to safely store the various bulky items and tools involved. 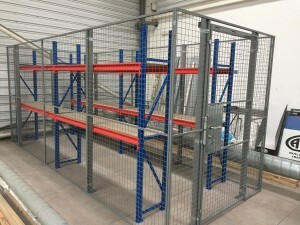 Troax mesh partitions are a very cost-effective solution for providing a high level of protection in warehouses and storage spaces meaning valuables can be stored securely. Troax Caelum is a modular system of mesh panels and doors which is simple to install, and very strong consisting of fully welded mesh contained within a strong steel framework. It is installed as a free-standing unit or anchored to the walls in any type of space or premises. The system can be disassembled, moved or expanded using normal tools. Our Longspan shelving is simply a steel upright and beam system with a choice of timber, mesh or steel decking. Timber is perfect for dry goods as was the case for this project, steel for liquids to wipe clean and mesh for ventilation and sprinkler access if required. All in all, when it comes to secure storage, we’ve got it covered.